Due to the shear dimensions and weight of most trucks, any accident, even at low speeds, can be devastating to the accident victim and their family. At Riegler and Berkowitz we understand how to help truck accident victims. We have represented many people involved in truck accidents so we know that these accidents can cause severe spinal cord injuries and broken bones, all due to the extreme force of the impact. If you’ve had a truck accident on Long Island or anywhere in New York, it is extremely important that you work with personal injury lawyers who have experience handling these kinds of cases. 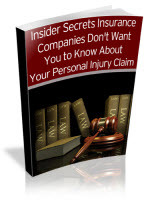 The personal injury lawyers at Riegler and Berkowitz have that experience. If you or a loved one have been injured in a truck accident on Long Island, or anywhere else in New York, call our office now at (631) 608-4114 or fill out the Truck Accident Case Evaluation Form below. When you speak with us we will go over the facts of your accident and show you what we wil do to protect your rights and get you the monetary compensation you deserve…as quickly as possible.